I read this article and found it very interesting, thought it might be something for you. 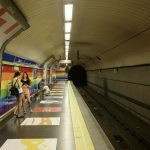 The article is called 15 Things to Know About the Madrid Metro and is located at http://trip-n-travel.com/listicle/20408/. Madrid is one of the world’s top fifty most populated metropolitan area in the world, and as such, getting around can get difficult, confusing and tiring if you’re taking a car. One of the most reliable modes of transportation in the city is, without a doubt, the Madrid Metro. The Metro has been operating and servicing the capital of Spain since early in the 1900s and has blossomed into an intricate web of rails and lines. 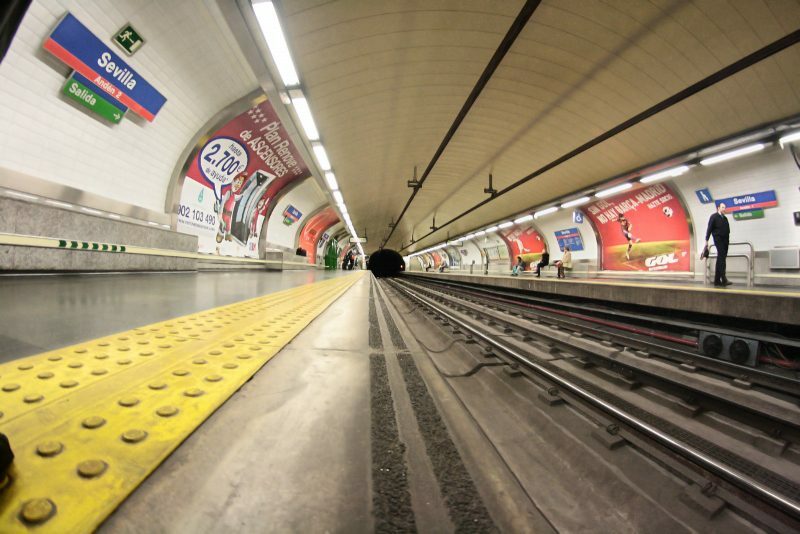 Here’s what you need to know about the Madrid Metro. When the Madrid Metro was first opened under the order of the Compañia de Metro Alfonso XIII on October 17, 1919, the rail consisted of one line spanning 3.5 kilometers. There were 8 stations in total. It was the very first metro system to be constructed in Spain and the second in the entire Spanish speaking world. The metro continued rapid growth thereafter, growing to three lines by 1936 and so on. If you want to figure out whether or not a metro station has been there for dozens of years or just a few, look to their design. Generally, older stations feature much narrower lines and are rather compact. They can be likened to stations of the Paris Metro and were generally decorated with tilings in various colors. Newer stations, however, are incredibly spacious. Many of the newer stations of the Madrid Metro are considered to be some of the best in the world thanks to great lighting and spacious entries and pathways. Originally called the Barcelona solution, the “Spanish Solution” is a railway station layout which entails two railway platforms on each side of a single line. The design is meant to speed up the amount of time it takes for a passenger to get on and off the train. The platform between the two trains is meant for disembarkation while the platforms on either side are used by passengers getting on the train. 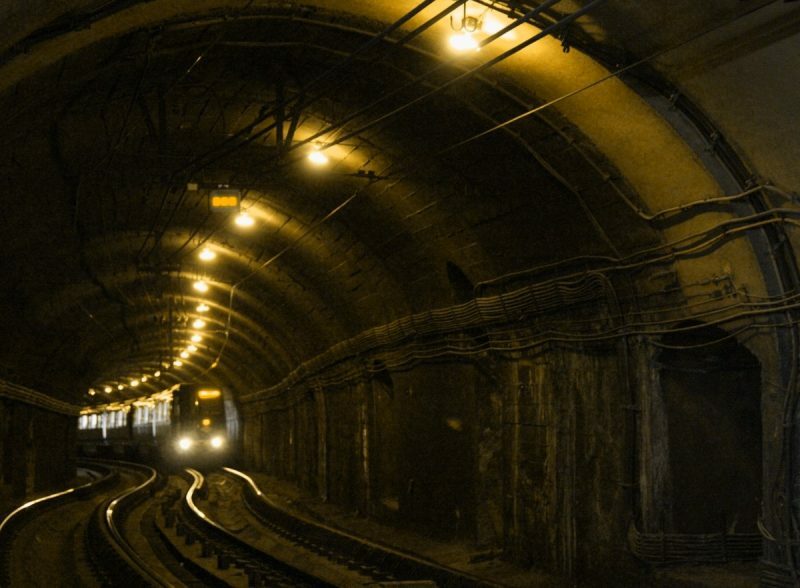 Though this solution was first used in the now closed King William Street Tube Station in London, it rose to popularity in the Barelona Metro during the 1930s. 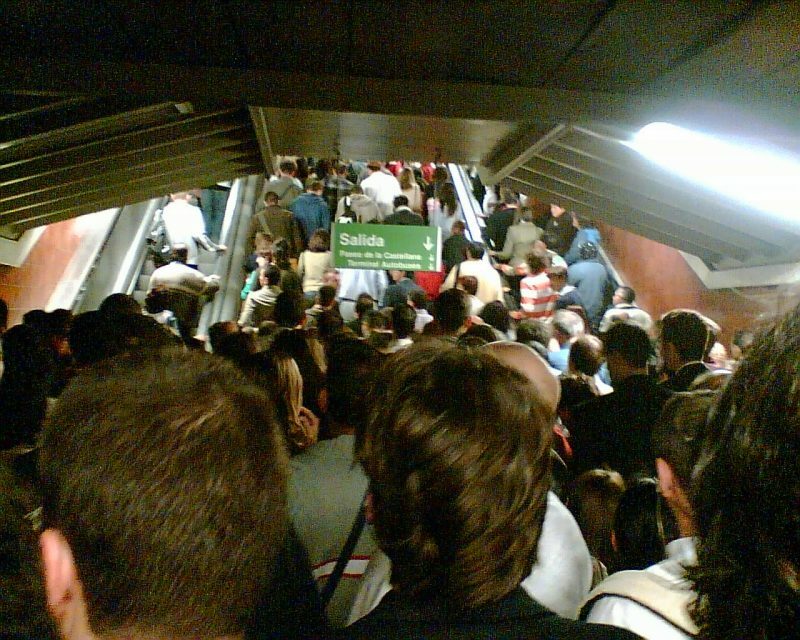 Say goodbye to any notion of personal space that you’ve ever had, because there is no such thing on the Madrid Metro. People had no qualms about squeezing in right in front, behind or beside you and may even squish you against other people if the need arises. You may even notice some light pushing and shove in crowded areas. 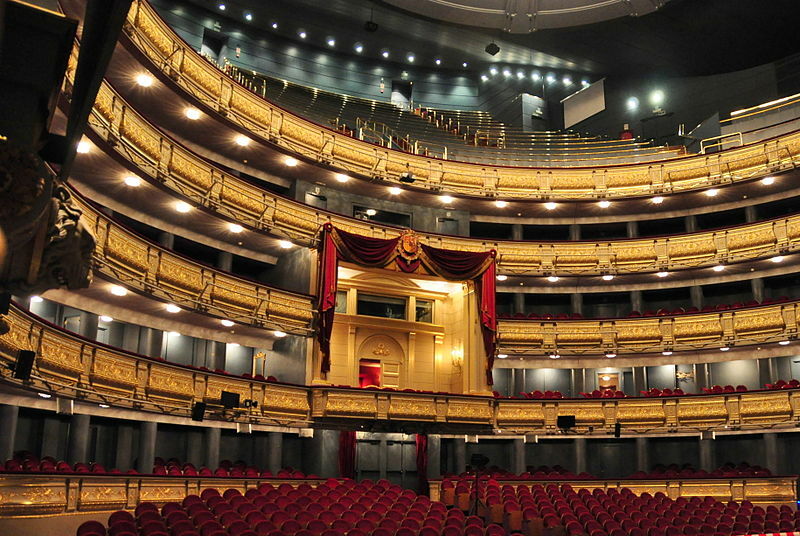 While this may be a culture shock to many, try not to be offended as it’s actually quite normal in Madrid. 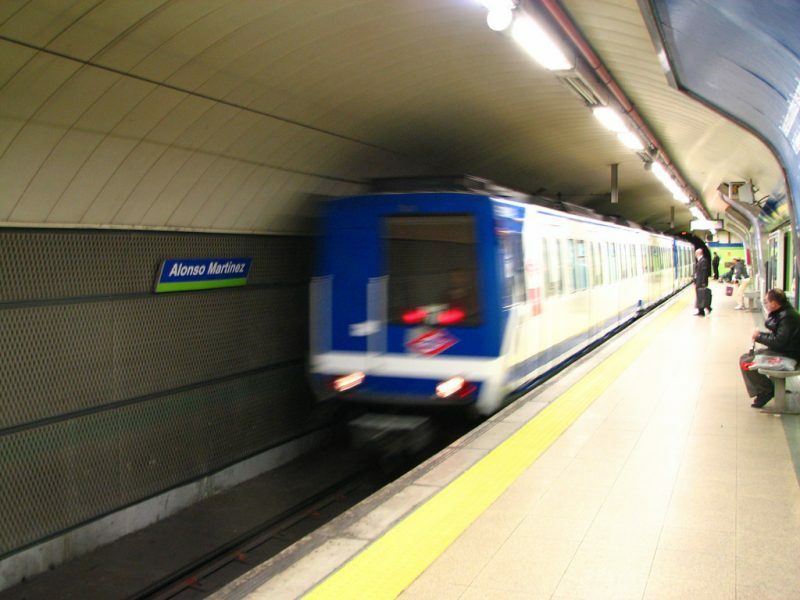 The Madrid Metro is known for being one of the most reliable rail systems in the world. 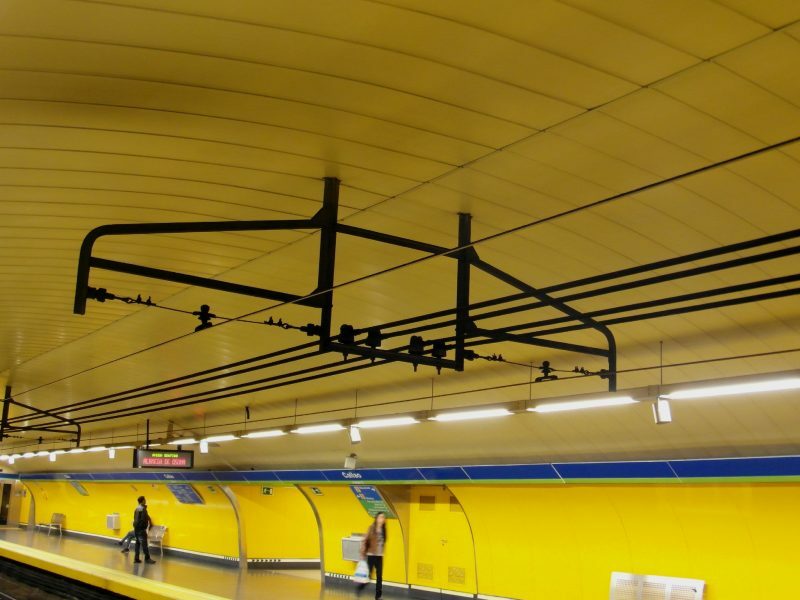 This is thanks in large part to the use of an overhead power supply system, a patented system for all of Madrid’s Metro railway installations. The overhead catenary line has been used since 1999 and provides rigidity and robustness that makes the metro less prone to malfunctions or failures. While many other railways systems generally have an even amount of underground and above ground trains, the Madrid Metro has approximately 92% of its lines and stations underground. In fact, out of its 231 stations, there are only three parts that are above ground. These are the Empalme-Eugenia de Montijo (Line 5), the Lago-Casa de Campo (Line 10) and the Puerta de Arganda-Arganda del Ray (Line 9). The Madrid Metro is right up there in world’s most complex subway maps and systems. In fact, it ranks fifth in the entire world alongside cities like New York, Paris, Tokyo and London. The complexity of the metro system comes from a total of 282 kilometers of railways, 231 stations and 12 different train lines. Today, the metro map is split into five different sections: the MetroMadrid, MetroSur, MetroEste, MetroNorte, MetrOeste and the TFM. 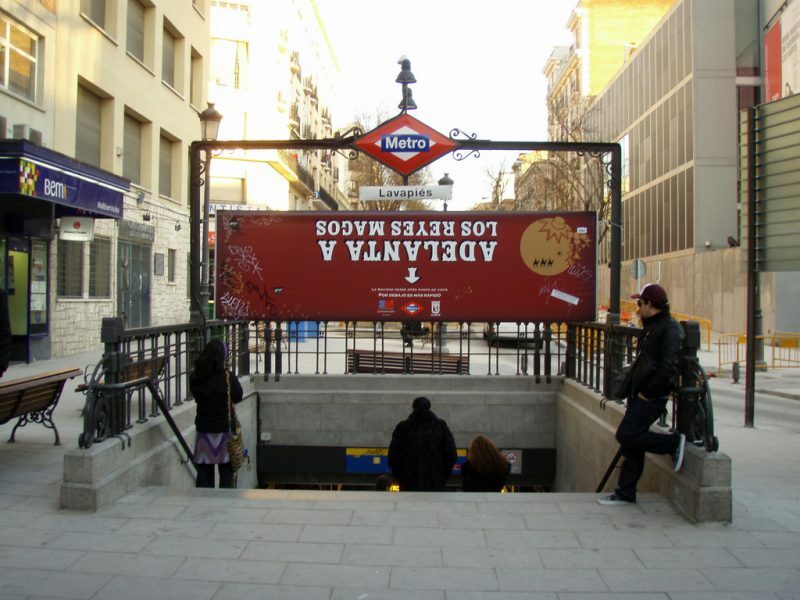 For tourists who are staying mostly in Madrid’s city centre while on their trip, will benefit greatly from purchasing a Madrid Metro Travel Pass. This offers visitors unlimited travel on all of the trains for Zone A or T for anywhere between one to seven days. Considering the price of a single metro ticket to be at a flat rate of €1.50, the travel pass is a great investment. It even goes all the way to the airport. This is one of the rare cases where being tall could be a disadvantage to you. Some of the roofing in the Madrid Metro can actually be quite low, so if you’re taller than 5 feet and 10 inches, you could be banging your head up a bit. Just take care when you’re walking to a platform through stairs and be prepared to duck when needed. As mentioned earlier, Madrid’s metro system is one of the most complicated in the world. One wrong transfer could send you in a totally wrong direction so take advantage of the free maps given away at the ticketing offices. Just head over and ask for a “mapas” and take care to plan your transport ahead of time. Maps are also located at the entrance of each station and signs past the turnstiles will clue you in to which direction the train you’re hopping onto is headed. All of the metro’s lines run a strict schedule between 6:00 am and 1:30 am on every single day of the year, fiestas included. The only exceptions to this timetable are line 7 to Pitis Station and line 9 connection from Puerta de Aranda to Arganda del Rey. However, the timetable is subject to changes if certain maintenance works or other things are being taken care of. 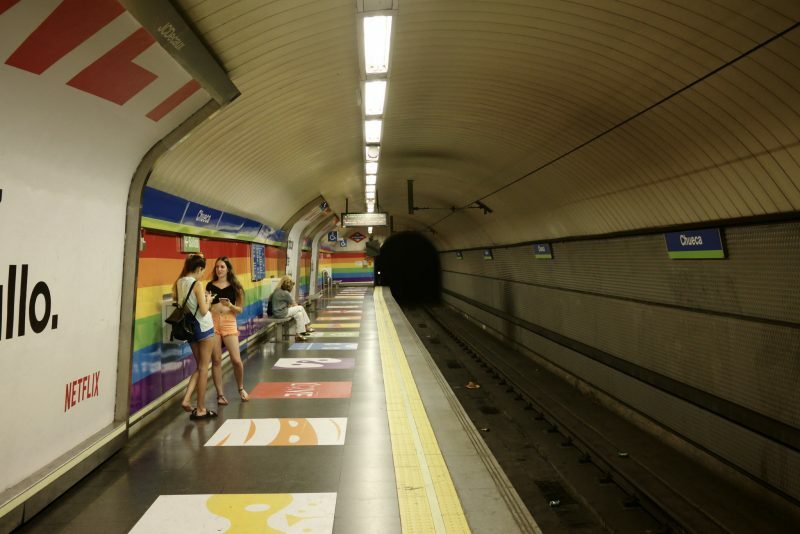 When in doubt, check the Madrid Metro website or give their information hotline a ring. The lines of the Madrid Metro are extremely efficient and will generally run rather quickly. As a rule of thumb, trains on all lines arrive at intervals of 2 to 4 minutes during work hours. The frequency of the trains starts to decrease in the evening and during the weekends, though waits will never exceed 10 minutes. If you’re traveling after midnight, waits can get up to 15 minutes long. 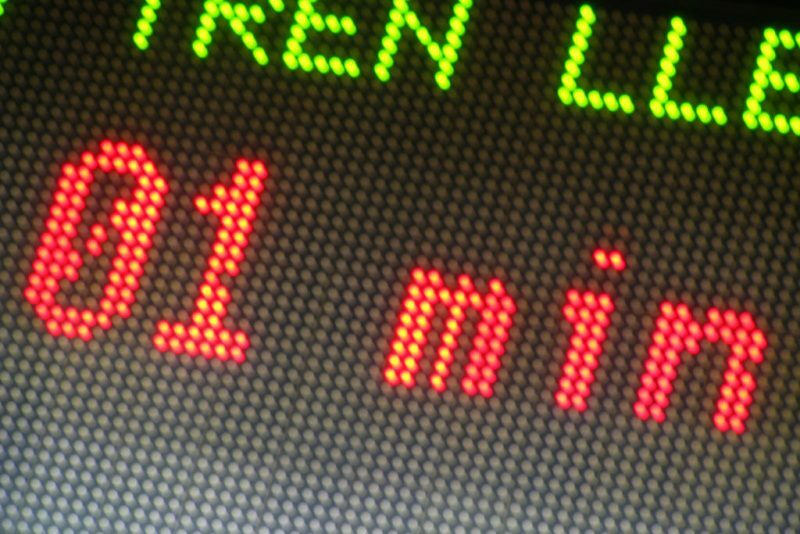 Changing lines or stations will also add an extra 10 minutes to your waiting time or journey. There aren’t many subway systems that can boast having a museum, but the Madrid Metro certainly can. The Caños de Peral Museum is the largest underground archaeological museum in the city and is located in the Opera Station. 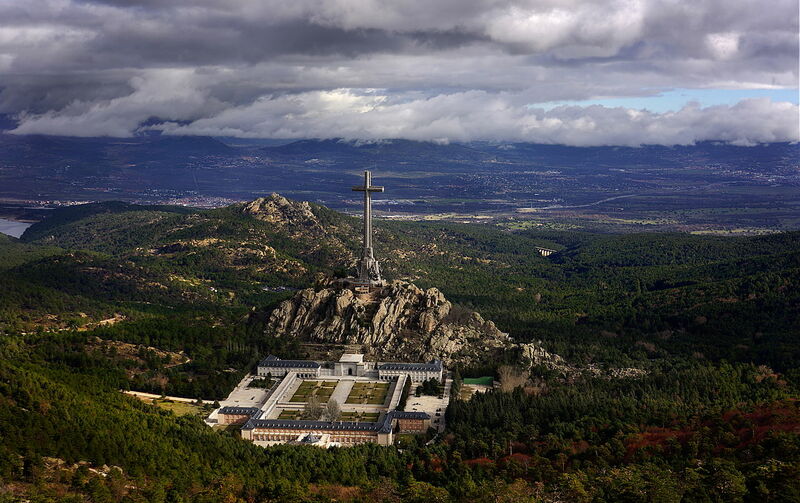 Here, visitors can see artifacts from the 16th and 17th centuries including remains from the Caños del Peral Fountain, the Arenal Sewer and the Amaniel Aqueduct. The Madrid Metro has an official application that can be downloaded on Android and iPhones in several languages. The app aims to provide people with a new way to travel through an easy to use interface. Through the app you can keep a map of the Metro network on hand, real time information on the services in particular stations and a tourist map. It can also help you plan your travel and find the most efficient way to get to a particular location. 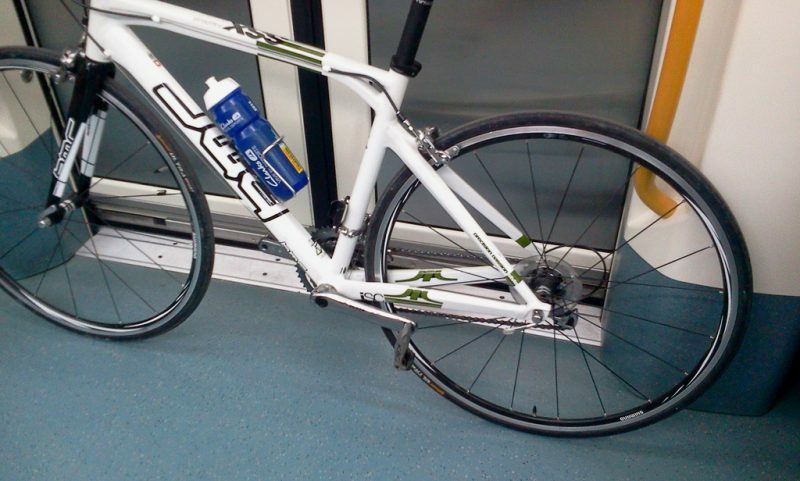 The awesome thing about the Madrid Metro is that they actually permit bikes and dogs to be brought onto the trains. However, there are set guidelines for each. For example, there are only certain times wherein dogs can be brought on the train and bikes may only be taken into the subway system on weekends. It’s best to ask about the requirements for access prior to taking bikes or dogs into the subway. 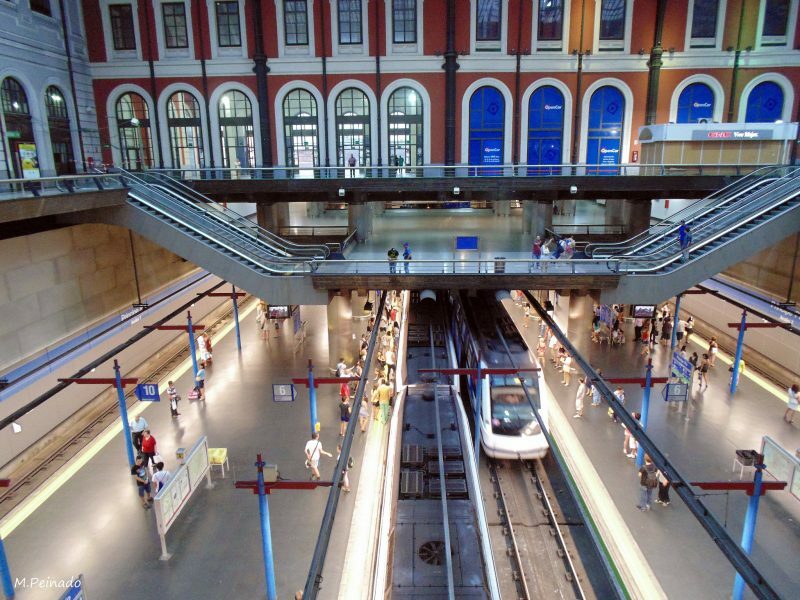 While the Madrid Metro may seem like a complicated web of lines and stations, it’s easy to manage if you have the right info and a good head on your shoulders. 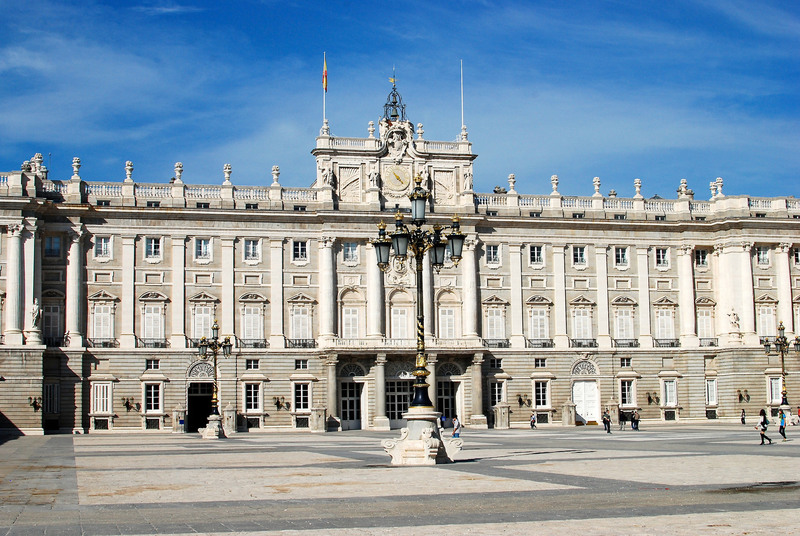 Before you head to Spain’s capital, make sure to read through this information again and figure out a plan of action prior to your arrival.